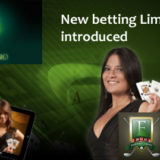 Celtic Casino and Fairway Casino have both increased the bet limits on their games. 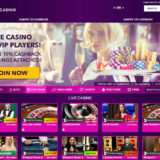 Players will now be able to bet up to a maximum £/€2500 a hand instead of the old maximum of £/€500. Whilst this may not suit the very High Rollers this is a positive step by both casinos to offer players more betting choice. Both come with 4 different betting levels and as you can see from the image below the new level is £/€100 – £/€2500. 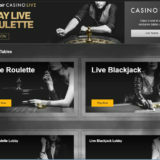 Live Roulette now comes with a maximum bet limit of £/€2000. Live Blackjack comes with increased table limits for it’s 7 seat version, with a max bet size of £/€1,000. 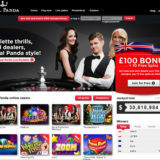 Blackjack Early Payout comes with a maximum of £/€2,500. Celtic and Fairway both have some of the best blackjack games out there. The stakes have always been a bit on the low side and that has probably put allot of players off. The newer limits are an improvement and sort of hit the middle ground for those who like to bet larger amounts. I’m really happy, not because it makes any difference to me, it just means that another range of players can now play at the casinos and enjoy the games that they have. Blackjack with Early Payout is a must for advantage players as it reduces the house edge even more!